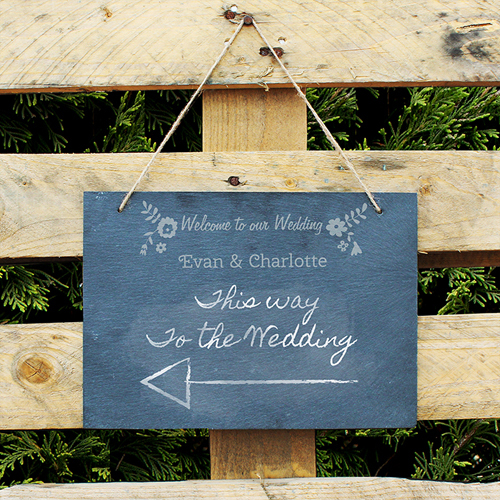 A beautiful rustic slate sign to welcome guests into the wedding. The words 'Welcome to our Wedding' are fixed. You can then personalise this hanging slate sign with a message up to 21 characters in length (e.g. names). All personalisation is case sensitive and will appear as entered.